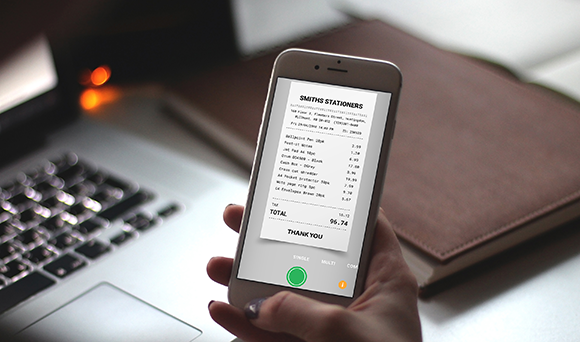 Receipt Bank makes it easy to send your expense paperwork instantly to your accountant and ensures you never lose another receipt. Introducing the easiest way to get paperwork to your accountant! Save hours of admin every week, and do more of what you love. UK businesses lose billions of pounds every year managing expenses and hours every week typing in receipts. How do I use Receipt Bank? With a recent HM Revenue and Customs survey revealing that 65% of senior finance decision makers have lost paper VAT receipts, using Receipt Bank will help ensure you never lose another receipt or expense again, as well as making sure you are claiming for everything you are owed. You can finally clear your home, office or any working space of messy paperwork knowing you’ve submitted everything to your accountant. Instead, enjoy access to secure cloud storage and accurate regular financial data about your business. We have some very competitive pricing offers for Receipt Bank so you can enjoy all of the benefits this expense scanning facility has to offer allowing you to spend more time running your business or spending time with your family. If you’d like to discuss any of the services TaxAssist Accountants offers or the other software we use with our clients, then please feel free to call us on 020 3196 4888 and we’ll put you in touch with your local TaxAssist Accountant.